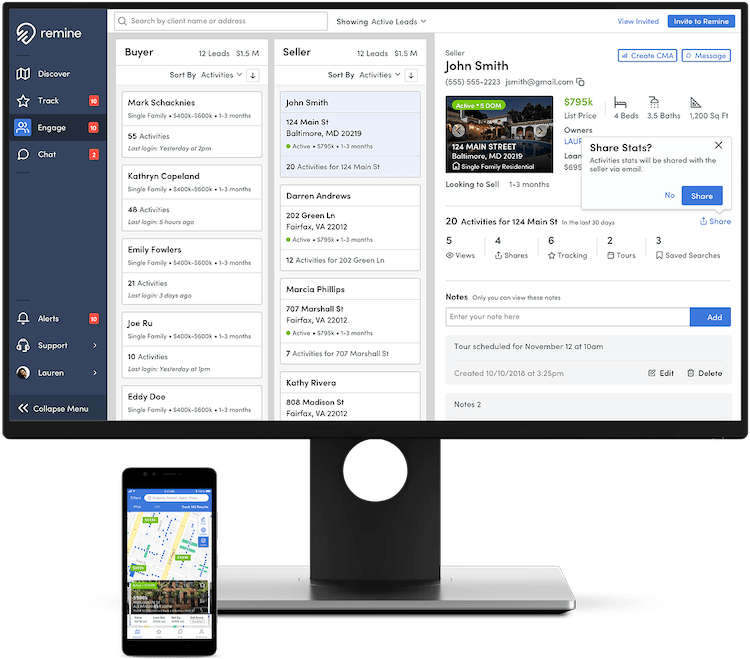 Remine is the ultimate MLS platform with map based search, lead generation, CRM, CMA, and an agent portal which lets you invite and engage with your clients. Can't find your MLS? Email us to let us know! Our powerful and intuitive platform is solving some of the biggest challenges real estate agents face today. Remine puts real estate agents at the center of the transaction, providing more real-time data and actionable intelligence than any other platform. Watch how. Remine is awesome, but your browser is not. Join our mailing list to learn about upcoming Remine news and functionality enhancements.